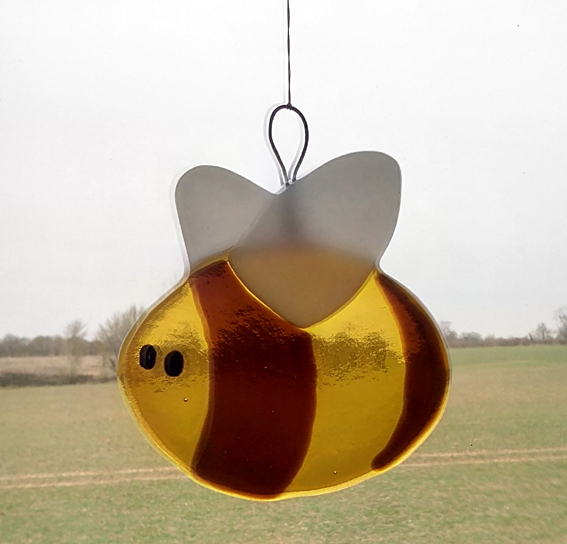 I have made this fused glass bee in our home kiln. It is made to hang in a window, allowing the sun to shine through the semi transparent glass. It is approximately 6mm thick and 10cm x 10cm in size. It comes supplied with a nylon hanging string.